Edmund Dulac was French for thirty years before becoming a naturalized British citizen a few years before World War I broke out. 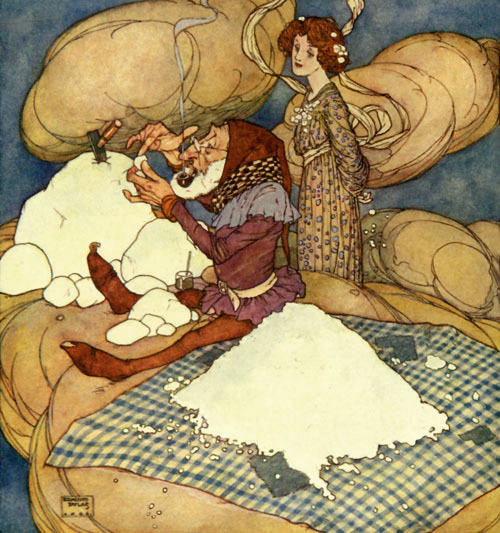 Prolific, and celebrated as an illustrator, Dulac contributed dozens of fairy illustrations to multiple fairy tale publications in the eight or so years prior to changing his citizenship. 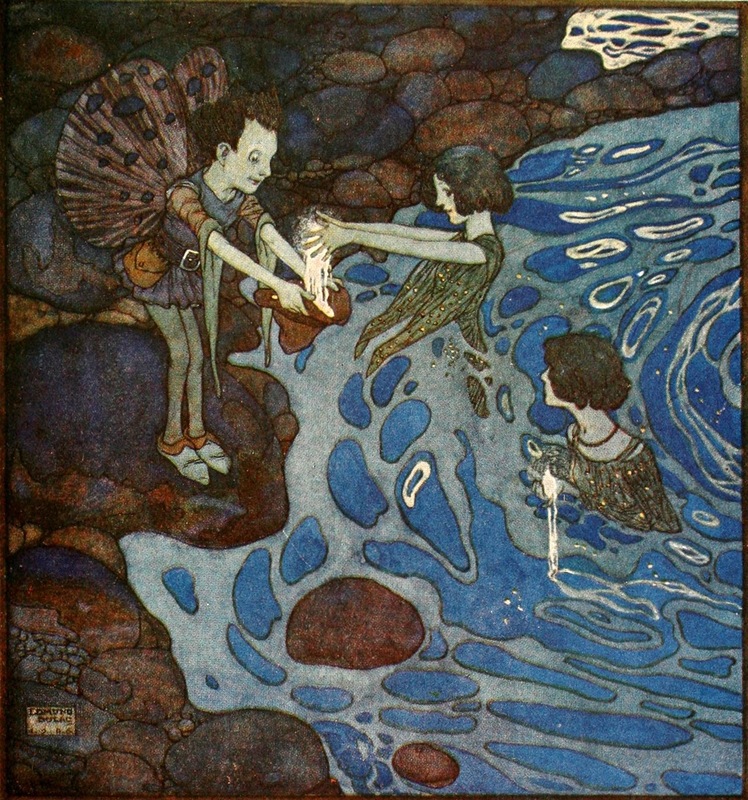 But Dulac was finished with both the fantasy genre and fairy illustration by the time he was finished being French, focusing instead on portraiture, newspaper caricatures, costume and set design, and even British postage stamps and bank notes. 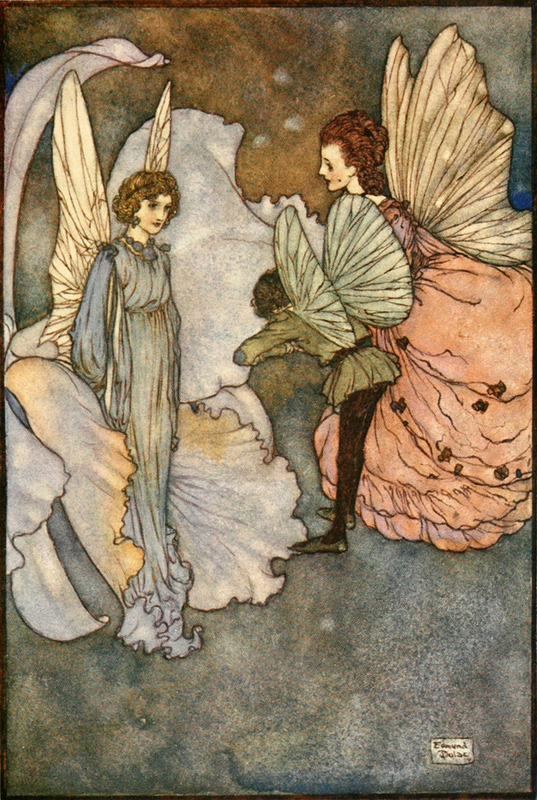 Nevertheless, it is the exquisite illustrations from a single post-Victorian book for which he is most renowned — Mrs. Rodolph Stawell’s Fairies I Have Met (Hodder & Stoughton, 1910). Original Caption: Drop-of-Crystal was too busy to speak. 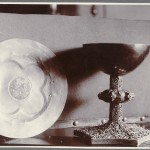 Original Caption: He held out the little shell in the beam of the coloured light. 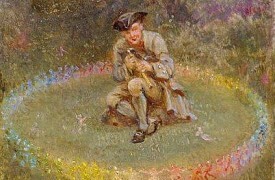 Original Caption: And because the silver of the moonshine-fairies was very light he was able to carry a great deal of it. 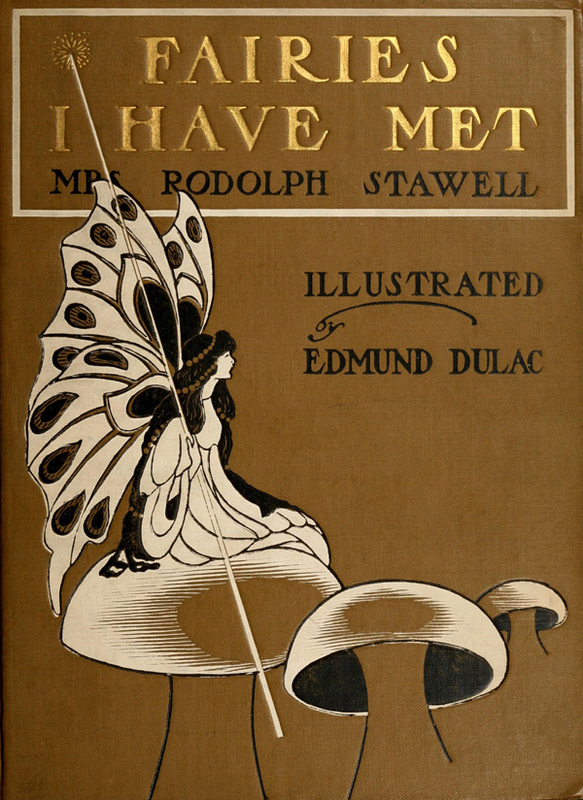 Dulac’s illustrations capture the vibrancy of Stawell’s stories, taking much inspiration for his visuals from textiles and Japanese prints. 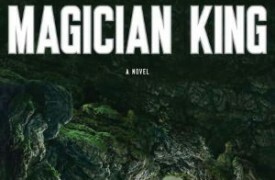 We can see these influences in the fine, careful details and textures of the fairies and creatures (especially in their clothing and wings), muted color palettes, and the washy open areas of the asymmetrical, spacey compostions. 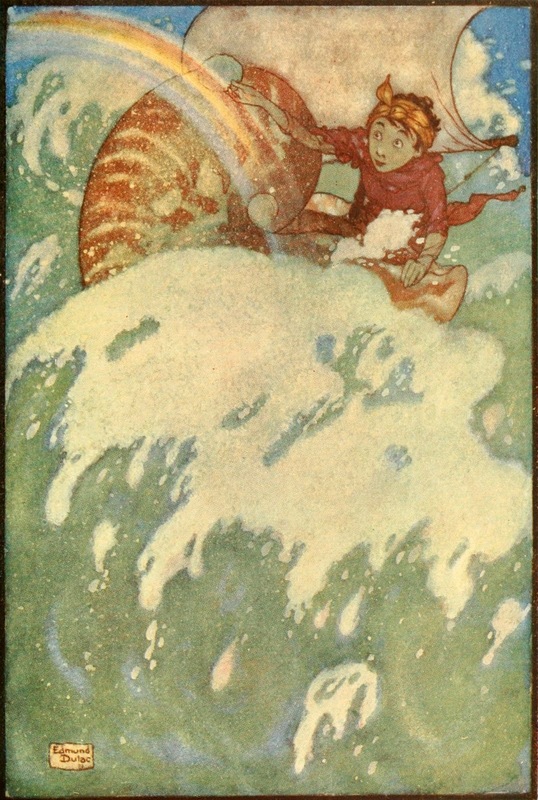 There is a special quality that Dulac gave to the weight of things – notice the solid, heaviness of the cloud in the illustration from “Drop of Crystal”, compared to the lightness of the wave in the illustration from “Sea Fairy and Land Fairy” (at right). Original printings of this book are extremely rare, but print-on-demand copies are available from Unishop, and digital versions are available at Project Gutenberg, Kindle, and Scribd. The book itself is definitely worth a read, not only for the incredible illustrations, but also for the beautiful prose. 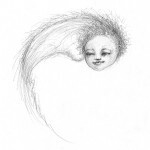 “There once was a cloud that had no lining. You have often, I dare say, heard grown-up people say that every cloud has a silver lining, and so you will understand that a cloud without lining is a very uncommon thing. Dulac’s illustrations from Fairies I Have Met have been reproduced as prints and 6-inch ceramic tiles by Artsy Craftsy, and prints and posters of Dulac’s work is available at Data Design and Art.com. 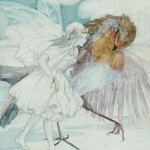 Edmund Dulac started his career studying law, but got bored and switched to art after winning a few prizes in his youth. At the end of his life, Dulac was one of a few notable British artists admired enough to participate in the Wilding postage stamps series. Original Caption: She smiled at him very graciously when he was introduced to her. Each image's sourcing information can be located by clicking on the image. More about images. 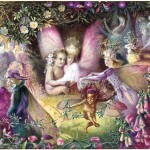 Why Do We Believe in Electrons, But Not in Fairies? 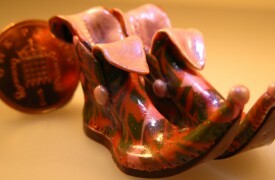 Folklore names the common Brownie (also known as the House Fairy, the Hob, or to Lowland Scots, the Urisk) to be a helpful fairy, hurrying about while the household sleeps performing nightly housecleaning in exchange for food or for small gifts left around the house. 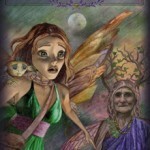 FairyRoom itself, © 2012-2019, is powered by WordPress, and regularly sprinkled with fairy dust by Waxcreative Design, Inc.